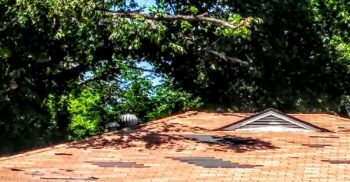 Julian Construction, Inc., (www.julianconstruction.com), a foundation repair and construction company in Los Angeles, debunks 5 roof repair and replacement myths. Myth #1. Roof repairs can only be done in Spring or Summer. Roofs can be replaced at any time, even in wet weather. It is true that in areas with harsh winters it’s not an ideal roofing environment, but in an emergency, not even ice and snow need to be an obstacle. If you live in a milder climate it is a good idea to take advantage of the fall and winter seasons for roof repairs and replacements. Other people may be holding out for the “ideal” summer months, and you could get a better price. Myth #2. Installing a new roof yourself is easy. The roof of your home is not a good place to practice your DIY skills. There are too many possible opportunities for roof damage due to improper installation by an untrained person. Hire a qualified roofer to ensure the roof will be installed properly. Myth #3. Replacing a roof is too expensive. Roof replacement can be done less expensively and less often, if regular roof maintenance and roof repair is done. The cost of roof repair goes up when regular roof maintenance isn’t done, causing new problems and exaggerating any existing roof damage. Myth #4. 1. You can add new shingles on top of the old shingles. Under the shingles is a layer called sheathing, which is usually plywood. This layer can rot due to old age, leaks, or poor air flow. The only way to check this layer is to remove the old shingles. If you cover them with a new layer, you’re covering up possible roof damage. Too many layers of shingles can also cause roof damage all on their own. Myth #5. Gutters are not part of the roof. The roof itself shields your home from the brunt of rain, snow, hail, etc., it is the gutters that redirect water away from the outside walls of your home and help prevent water damage caused by pooling . Keep your gutters clean and have them inspected with the roof regularly to help prevent water and roof damage. Julian Construction owns its own company and is built on a “no middlemen” model – no salesmen, no subcontractors. When you work with Julian Construction you get the principals of the company and workers of Julian Construction under your home. The result is the highest quality work at affordable prices. They can be contacted by phone at 323 733-3377, by fax at 323 733-4477 or via their website, http://julianconstruction.com. You can see tips and advice about home foundations on their blog or quakeproofers.com.